I didn't get a chance to see the premiere episode of Late Night With Jimmy Fallon on TV Monday night so last night, I checked out the archive online. Over the course of the entire show, NBC delivered the exact same 30 second Windex commercial five times. While I have been complaining about the lack of targeted online video advertising for some time, this isn't even about targeting. Why is NBC delivering me the same ad five times in a row? 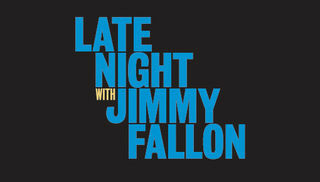 I find that hard to believe that NBC has no other ad sponsors for the premiere episode of Late Night With Jimmy Fallon. I know it says Windex is the sponsor, but if I play back other clips from the same show, I get an ad for FedEx. And even if Windex is the only sponsor, what impact do they think their ad is going to have when played five times in a row? Now it just annoys me and makes me want to not buy any Windex products. What's the problem here? Is there a shortage of online video advertising inventory? Do advertisers just not get it? Clearly, this isn't working.